We want feedback. Every outsourced help desk ticket comes with an optional survey. NetworkAntics has various metrics to ensure quality service all the time. We will not accept anything but the best support for our customers. Everyone business owner wants to get the most bang for their buck. We have developed an extensive calculator for factoring all costs of an employee and their time consumed by IT needs rather than the role they were hired to do. 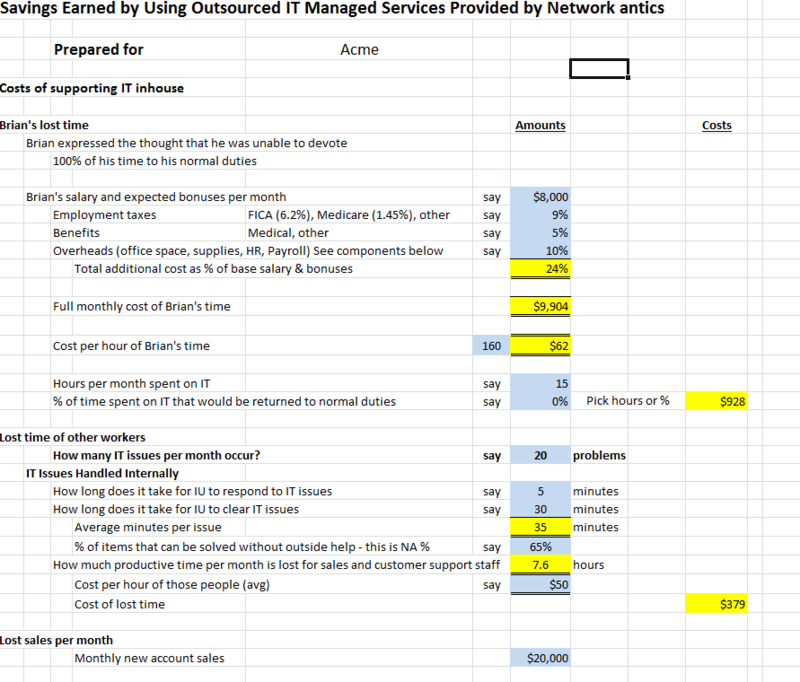 We can sit down with and perform a discovery of just how much savings is earned utilizing outsourced help desk services. Network Antics’ large staff of heavily vetted, qualified, and certified support team answers calls and remotes into your machine 24/7, 365 days a year. The remote agent will provide a proactive response when malware, virus alert, or logged events disrupt the normal activity of your machine. The outsourced help desk support specialist upon your user’s approval will have seamless remote connectivity to resolve most issues. Varying tier levels of support will allow technicians to escalate to the appropriate support team to resolve your concerns. Team Leads handles support Level 2 while our on-site senior level engineers handle Level 3 including issues pertaining to Active Directory, servers, email, disaster recovery, networks, and security. For your free outsourced help desk consultation, fill out the form on the right or call us at (858) 225-7367.